Like all Eastern Caribbean islands, the Bahamas are quite vulnerable to hurricanes. Last year's Atlantic hurricane season was the third in a consecutive series of above-average intensity and damaging hurricane seasons. 2018 saw 15 named storms, 8 hurricanes and 2 major hurricanes wreak havoc in the Atlantic. The Atlantic hurricane season runs from June 1 to November 30 with the peak period from early August through the end of October. The Atlantic basin includes the entire Atlantic Ocean, the Caribbean Sea, and the Gulf of Mexico. What Does a Typical Hurricane Season Look Like? Based on historical weather records dating back to 1950, the Atlantic region will typically experience 12 tropical storms with sustained winds of 39 mph, of which six turn into hurricanes with winds reaching 74 mph or greater, and three major hurricanes category 3 or higher with sustained winds of at least 111 mph. It's important to note that most of these hurricanes do not make landfall in the Bahamas. A hurricane passes near the Bahamas, on average, every two years. A hurricane makes a direct hit on the islands, on average, every four years. One Category 5 hurricane and seven Category 4 hurricanes have struck the Bahamas since storms were first recorded in 1851. What Does It Mean for My Vacation Plans? Statistically, the chances of a hurricane or tropical storm hitting the Bahamas during your visit are very slim. Three out of four hurricanes and tropical storms occur between August and October, with storm activity peaking in early- to mid-September. Still, despite all the predictions of rain, the Bahamas see more than 300 days of sunshine every year. 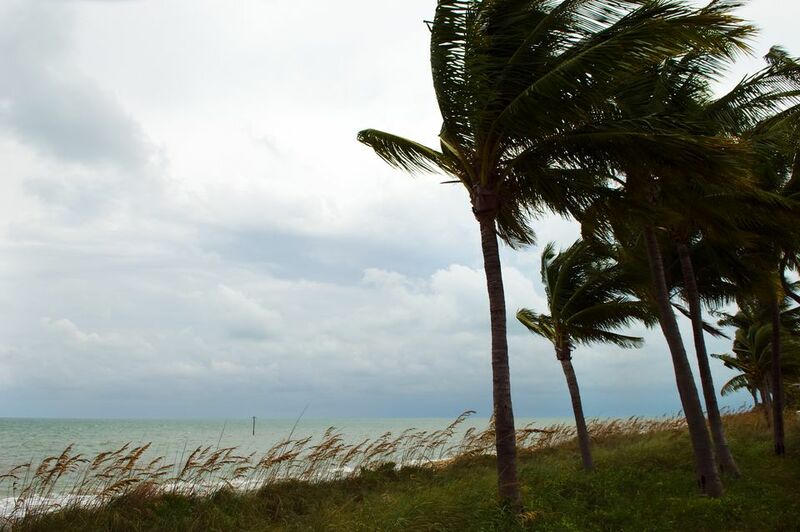 There are choices you can make to lower the risk of a hurricane disrupting your vacation. If you're traveling during hurricane season, and especially during the peak August-to-October period, you should strongly consider buying travel insurance. Typically, if your trip is canceled or interrupted due to a storm, you can be refunded up to the limit of coverage. Note that in most cases, insurance must be purchased more than 24 hours before a hurricane is named. Also, most hotels and airlines will offer refunds or a rescheduled itinerary if a hurricane interrupts your planned vacation. How Can I Stay on Top of Hurricane Warnings? If you're traveling to a hurricane-prone destination, download the Hurricane app from the American Red Cross for storm updates and a slew of helpful features. You can also follow weather updates from The Weather Channel, Accuweather, and NOAA (National Oceanic and Atmospheric Administration), among others. BahamasLocal.com lists shelters in the Bahamas where you can go if a severe storm is imminent and your resort does not have adequate shelter. Tips on the website are for residents but make sense for visitors as well. Having a flashlight with batteries, a stash of emergency non-perishable food, bottled water, and a first-aid kit are a good idea. Checking with your resort about their emergency procedures and making sure your family is aware of what to do in a severe storm is a good idea when visiting the Bahamas during hurricane season. If you are renting a car, make sure you have a full tank of gas. Have cash on you as credit card machines and ATM's may not work in a storm. How Often Do Hurricanes Hit Hawaii?